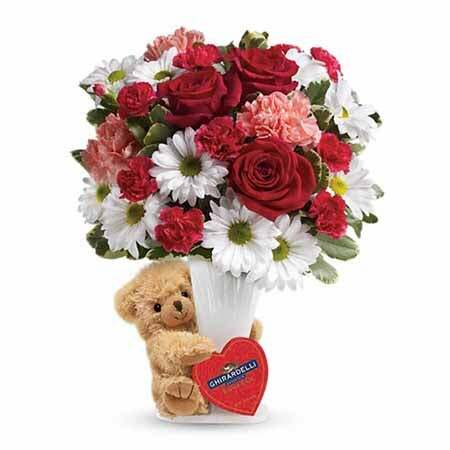 From Valentine's Day flowers for your boyfriend, husband, or even just dad, your special man likes getting bouquets too. There's one question we hear from shoppers every year without fail. 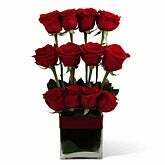 What Valentine Day flowers for him are the best for my relationship? We're here to help you choose what to get your boyfriend for Valentines Day - or your father or husband. This holiday used to be mainly for couples and romantic relationships, but Valentine's Day has since evolved into a holiday celebrating all types of love. We're no longer limited to only Valentines gifts for boyfriends and husbands. 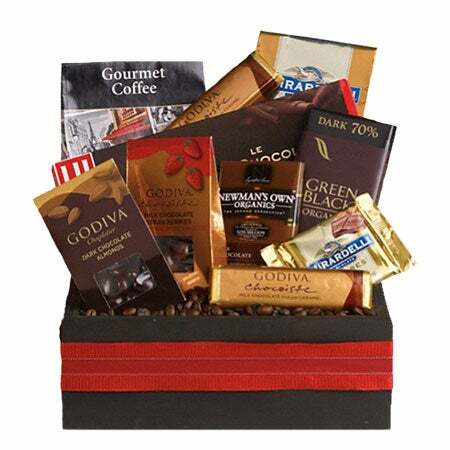 Many people choose to gift chocolates or bouquets to their sons too. Since this romantic holiday is still predominantly dedicated to grand, romantic gestures, we will focus mainly on husband and Valentine gifts for boyfriends. At the bottom though we have included for your convenience, some of our best selling pieces for a son or father relationship too. When considering what to get your boyfriend for Valentine's Day, even if he doesn't admit it, his wants are very closely related to yours. Society places an unfortunate stigmatism on many men that makes them feel like they aren't allowed to appreciate the same things we do. We really aren't that different. If you think you would like a certain Valentine's Day gift, then you shouldn't be surprised to find that he likes the same thing. One of the reasons we fall in love with someone in the first place is because of our similarities. It only makes sense that you would enjoy similar things. Valentine deliveries for him are important to him too. 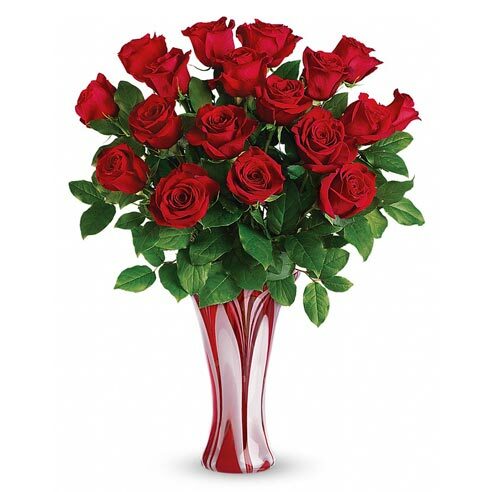 If you like Valentine's Day flowers and Valentines roses, he most certainly will like those beautiful gifts too. Typically women are celebrated on this famous holiday, showered with flowers, jewelry and other lovely gifts. Valentines delivery for him shows him that you know that it's his special day too though. When you send flowers, Valentines chocolates, cute teddy bears, or balloons(especially to the office); don't be surprised if he teases you a bit. Why would he poke fun at you sending flowers to him? He may feel that he has too. The more "manly" your man is, the more he may feel pressured to act like it's not a big deal, especially in front of other men. He will probably nudge his guy friends at work while smiling and laughing, while voicing "I can't believe I got flowers! She's so sweet though." We promise you, he is quite giddy about his Valentine's Day flower delivery. If he reacts in this boyish way, why then send him flowers? 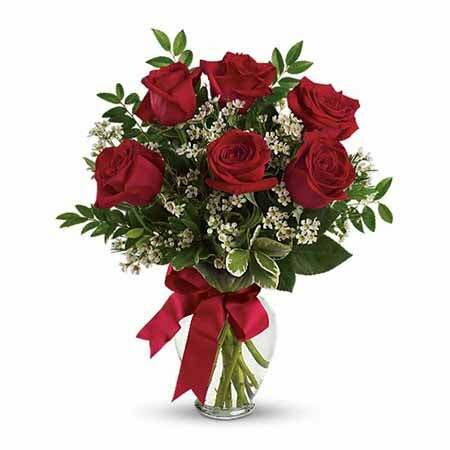 There is no reason not to send flowers for him on Valentines Day. How is it that we know with such absolute certainty that men love flowers as much as they do? We have data on the number of flowers for boyfriend, husband, and other male specific gifts customers have ordered over the years. Our same-day service also delivers them, so we get to see their in-the-moment reaction too. We can use that to help you choose his best Valentine's Day gift delivery this year. 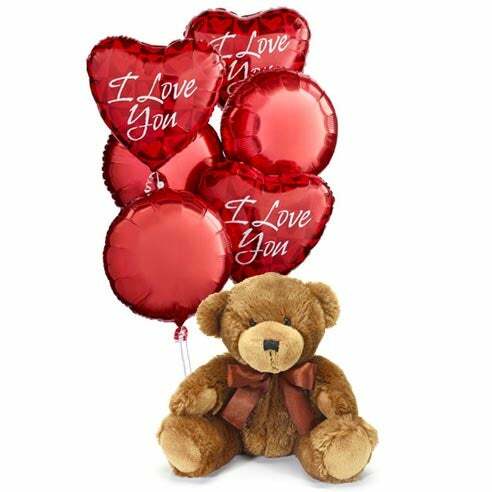 If instinct says to choose teddy bears for your boyfriend over a Valentine's Day balloon delivery, trust it. We can supply the data, products, and deliver it quickly, but you know him best. 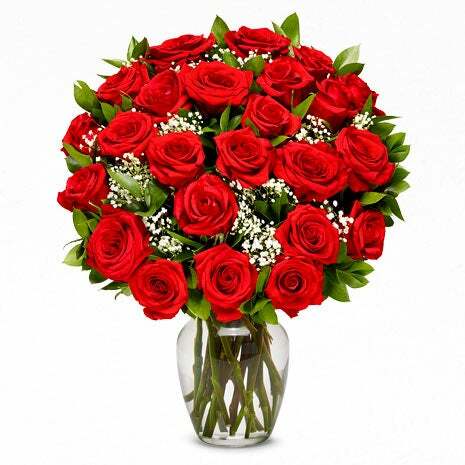 There are many things to have delivered to your boyfriend on Valentine's Day, but don't hesitate to choose flowers. If you like them yourself, the honest answer is, he probably will too. You can decide with the newest data, and what you know about him, whether flowers for your boyfriend on Valentine's Day or something else is a better choice. 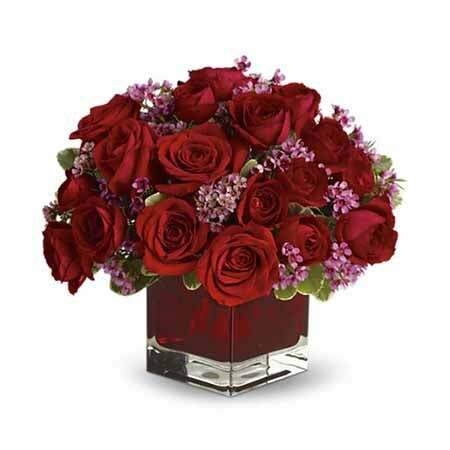 We know men love Valentine's Day flower delivery because we are a flower delivery service. We see all of the delightfully gushy stuff that you don't. We see men receive Valentines roses and burst into happy tears(yes really). We've seen fully grown, burly men squeezing a teddy bear delivery like their mother's never gave them one. We also see men in huge office buildings who look like they've forgotten how to smile, with slightly upturned lips. The Valentines flower delivery stuff they say they don't care about, is a big show because of the infamous "guy barrier". We promise you it means a lot to them that you honor them too. When your boyfriend next visits you, through all of his jesting and bro high fives(shudder), he will take you in his arms and hug you. He will say thank you, and you will know what it means to him. For many men, actions speak louder than words. A delivery for him on Valentine's Day is a great chance to show it. Whether you opt for balloon bouquets, teddy bear, or chocolates, we recommend sending at least one Valentine's Day gift that includes a momento. 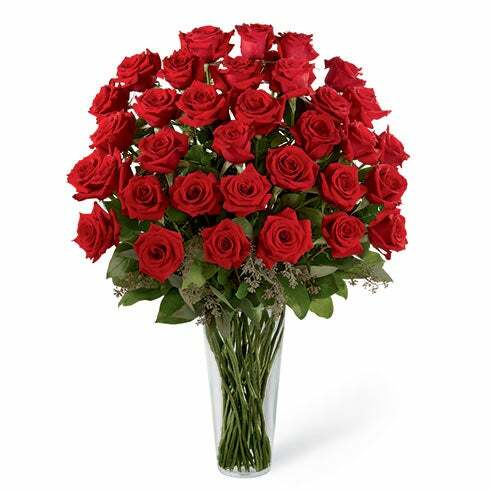 If you send Valentine's Day flowers, your flower delivery will come with a vase, but men don't typically keep their vases. Since they're very unlikely to purchase discounted flowers for themselves(for all of the reasons we mentioned above), it's nice to include a stuffed animal delivery. You could also choose from a box of chocolates for Valentine's Day, or a cup or mug arrangement. 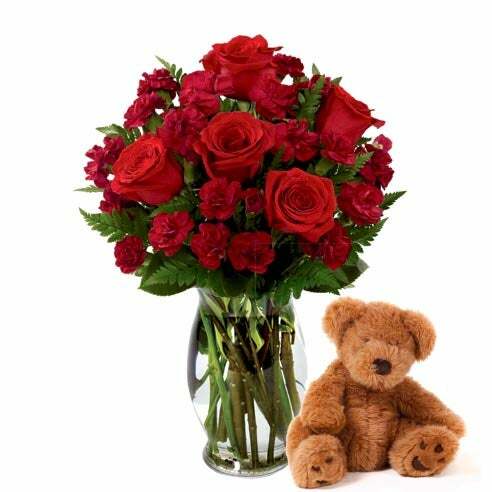 The teddy bear or stuffed animal will serve as a permanent item on their shelf, so that they can remember the day that they finally received flowers themselves. 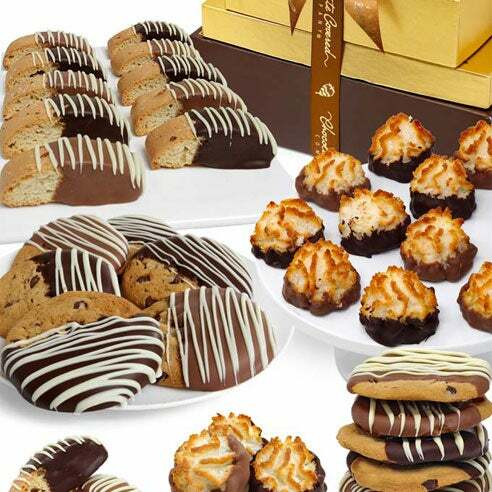 If you send flowers with a chocolate delivery, then they'll think of you every time they have a sweet tooth. While it may not last as long, the sensation is still a nice one. An excellent selection and delivery for boyfriends is the bear and balloon pairing seen here. It's playful, not overly serious, and still flirty with a cute bear to last a long time. If you want to surprise him, don't send roses for Valentine's Day. 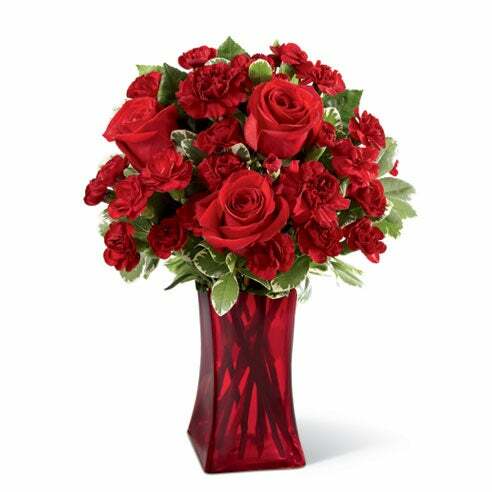 Roses are the love flower and coincidentally the most requested flowers for Valentine's day. Does that mean you're obligated to send Valentines roses to your beloved? You may be surprised to find there are equally beautiful options that he may prefer more. 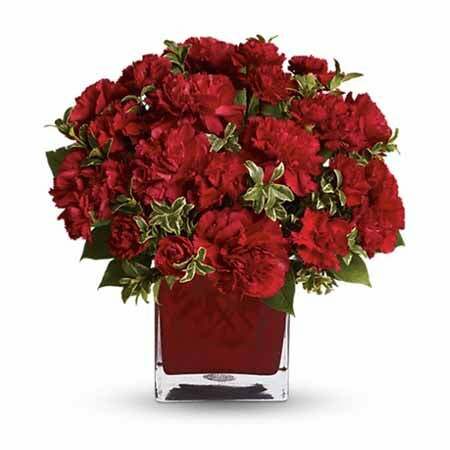 You know him best so trust your instincts when it comes to trying a new type of Valentine's Day flower. 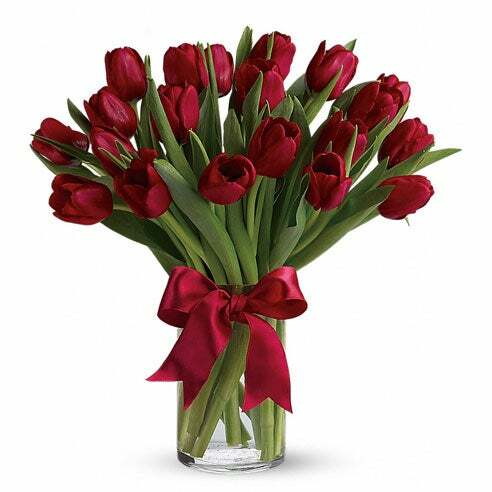 Your Valentines flower delivery could be dark red tulips instead, hand delivered in a striking vase. Why not? We see this every year. 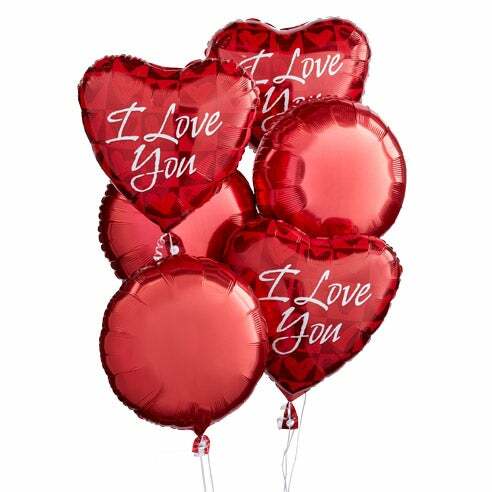 Many people opt for a Valentine's Day balloon delivery with flowers and balloons instead of a rose arrangement. 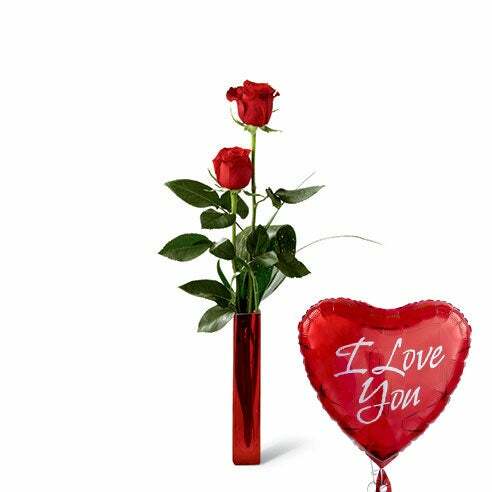 Many men choose to send balloons with chocolate delivery and skip the flowers all together. It's your Valentine's bouquet, so send it your way. We know without a shadow of a doubt that men's flower bouquets are always well received. If however you're leaning towards a candy basket delivery, by all means, feed the man instead. It's also a good way to see if he's a keeper. 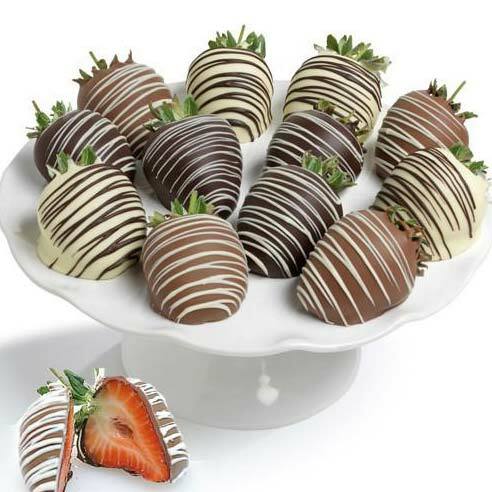 A man who'll share his chocolate strawberries delivery with his love is definitely worth keeping around. 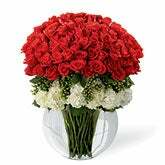 Valentine Delivery For Him - Coupon! Get flowers delivered, candy, or send balloons. At the end of the day, there's one important thing to learn. The Valentine's Day flower delivery for your boyfriend is just as important as yours. There's a common misconception that Valentines Day flowers are supposed to be a gift for the ladies, and yes we want them(this writer does)! 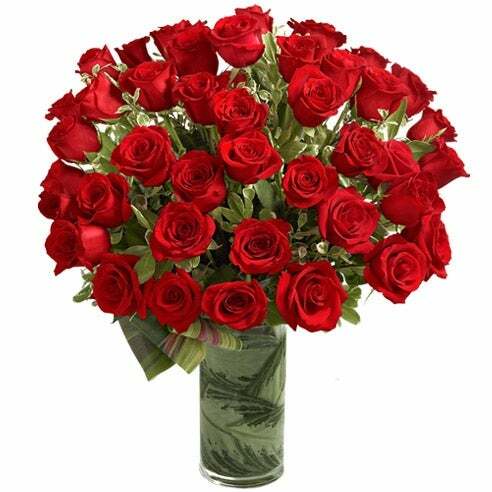 Flowers for valentines are exactly that, a valentine flower for your valentine. Who is your valentine? A boyfriend, husband, father or even son can be your loved one this year. Love is worth celebrating in all of its varied and colorful forms. With specialty Valentines bears for him that he can hug when you're out and about, he'll feel valued. 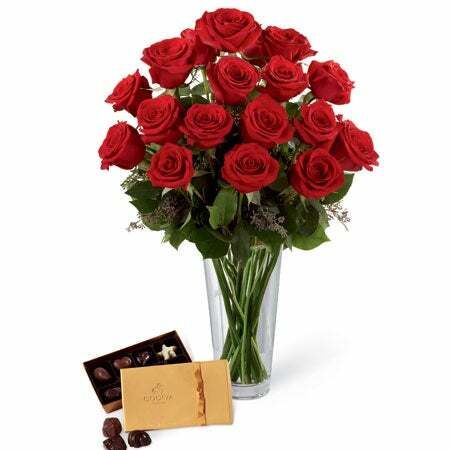 You can also always send flowers for Valentines Day in the more traditional aspect, to show him he's appreciated just as much as he appreciates you. 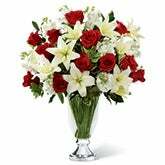 Here is a free flower delivery coupon just for you. 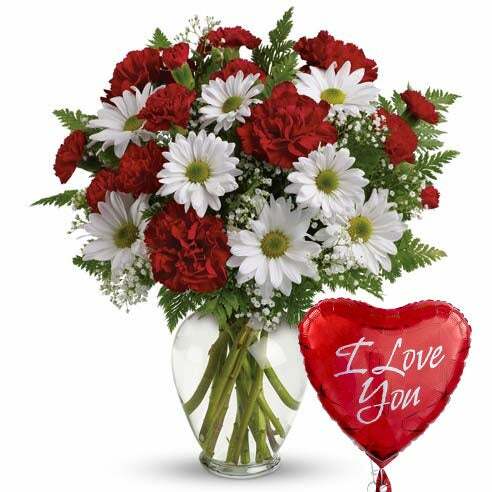 Send flowers for Valentine's Day cheap by entering in this send flowers coupon code: DELVFREE. Wondering what to do for your boyfriend for Valentines Day? You're probably expecting us to say send your boyfriend the best Valentine's Day gifts! While that is true, don't forget that for men sometimes the most crucial part of their relationship is being with someone who lifts them up and believes in them. It honestly doesn't matter if you send cheap Valentines flowers or expensive ones, candies, whatever you gift them with. It's the notice that they're equally appreciated that will touch them, so let them know. 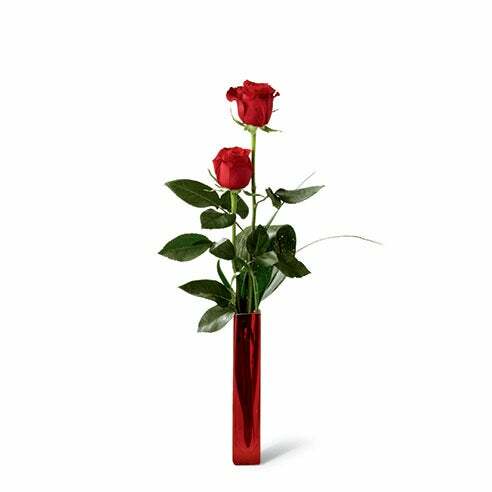 From a twisted red glass flower vase, to bear decorations and luxury Valentine flowers, these arrangements go the extra mile. A box of hand-delivered Winter greens is perfect for the guy who loves being outdoors. It also shows that you know a little bit about him and what he likes, making your gift more touching. 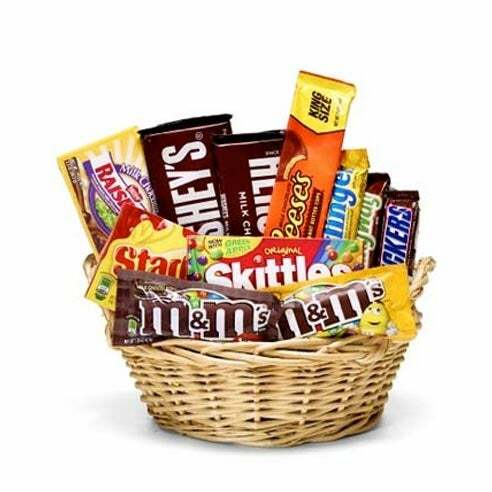 The Valentine's Day candy gift basket can be delivered same day, and you know what they say. The best way to a man's heart is through his stomach. You can also touch him by sending a mug of flowers with a personalized note saying how much you love having coffee together every morning. 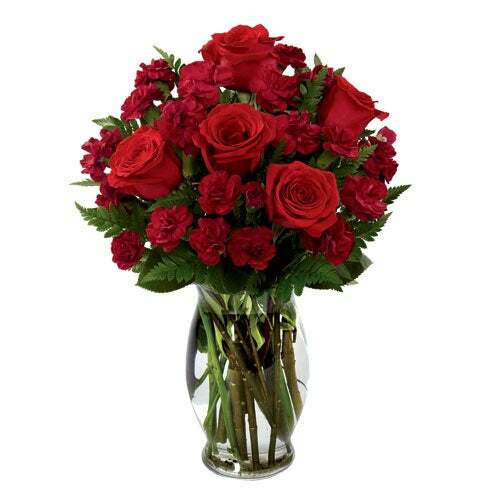 Your gift can be made more touching through the small ways that you choose to personalize it, by picking luxury flowers that go above and beyond roses, or by showing how well you know his preferences. He's sure to appreciated the attention to detail.